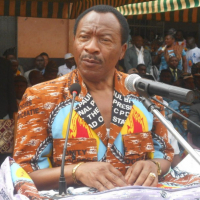 He was already part of a group of Camtel leaders and former leaders banned in March 2018 from leaving Cameroon by a decision of the General Delegate for National Security, pursuant to the instructions of the President of the Republic. It is therefore possible that in the days to come, the two officials will be taken to one of the prisons in Yaoundé, as has become a custom in Cameroon where the slightest questioning amounts to a presumption of ... guilt and leads on a detention pending trial, even the "justice" is embarrassed too much of the rules of criminal procedure to wring havoc on the rotten Republic who know too well make their shenanigans undetectabe. 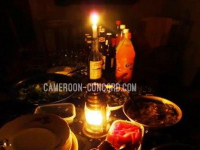 The capital Yaounde but also all the cities of the central and southern regions is more than 4 million people will be deprived of electricity on Tuesday from 6 to 12 hours (5 pm to 11 pm GMT) announced Minister Gaston Eloundou Essomba of Water and Energy. "This interruption is essential to connect the substation Nomayos substation to the electricity transmission network," said Gaston Eloundou Essomba. The post, he says, is "necessary for the forthcoming commissioning of the new cement production unit at Nomayos ". The new 90/30 Kilo volt substation with an installed capacity of 36 Mega volt amps will enable, among other things, the power supply of the new industrial clinker grinding unit, as well as that of several localities, and the coverage of the industrial zone. 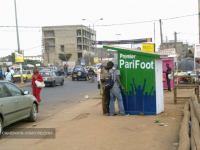 Yaounde-west. As a reminder, the Cement factories of Cameroon (Cimencam) have built a clinker grinding station in Nomayos estimated at 27 billion FCFA. 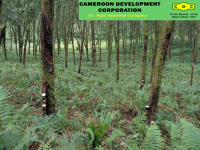 It is located in the commune of Mbankomo, Department of Mefou-and-Akono Central region. With this new plant, whose first CEM II 42.5 type cement (Robust) was produced on January 28, 2019, Cimencam aims to produce 2 million tonnes a year. These gunmen took time to chop off the hands, fingers and ears of about least six plantation workers. The injured workers are presently receiving treatment at a medical facility in Tiko as security officers open investigations to track down the perpetrators. This is not the first time plantation workers in Tiko are suffering such attacks from gunmen in the locality. Close to two dozens of workers have had their fingers chopped off in previous attacks in the area. From: A Collective of Anglophone Cameroonians in the Diaspora. We, a collective of Africans from Southern Cameroon, the English-speaking part of Cameroon, which is going through a bloody civil war and refugee crisis, have the honour to address this letter to you. We are friends of Israel. Some of us live legally in Israel, some of us have studied in Israel or visited Israel on business or attended academic conferences there, while others have paid religious pilgrimages to the holy sites in Jerusalem, the Temple Mount, Bethlehem, Nazareth, the Mount of Olives, the Jordan River, etc. We therefore welcome the decision of the Cameroon government to apologize unreservedly for these ignorant and extremely hateful remarks which were in fact a veiled attempt to justify crimes against humanity directed at minorities in Cameroon. Honorable Ambassador, while we condemn historic crimes against humanity, as well as diminishment of those crimes, we must not turn a blind eye to contemporary human rights violations and crimes against humanity, even though these crimes do not rise to the level, scope, or magnitude of the Jewish Holocaust. We are talking about well-documented crimes against humanity being committed in the English-Speaking Southern Cameroon as we speak by the Cameroon military, and specifically, the elite military unit, BIR (Brigade d’Intervention Rapide), which is trained, equipped and commanded by former Israeli military officers. On February 7, 2018, Israeli human rights lawyer, Eitay Mack, and 15 other Israeli human rights activists wrote to the Israeli Defense Export Agency, Israeli Ministry of Defense, complaining about the massive human rights violations of the BIR in North Cameroon as well as Southern Cameroon (North West and South West regions). The Israeli activists ably and accurately presented the historical and political dimensions of the on-going Anglophone problem in Cameroon. They documented the crimes against humanity committed by the BIR, and reproduced denunciations of these crimes by the African Union, the United Nations Human Rights Commission, the European Union, Amnesty International, and multiple other governments and organization. The Collective of Anglophone Southern Cameroonians in the Diaspora, which considers itself afriend of Israel, associates itself with the sentiments of Mr. Eitay Mack and his Israeli human rights activist colleagues, and call on the government of Israel to refrain from being a partner in crimes against humanity in Southern Cameroon. The Collective of Anglophone Cameroonians in the Diaspora. In a presidential decree made public on Monday 2 July 2018, Pr Elvis Ngolle Ngolle, has been appointed board chair of the referral hospital in Douala. He will be taking over from Nalova Lyonga, who occupied the post before. The professor shall be working together with, Luma Henry Namme and Penda Ida Calixte, who were equally appointed by the same presidential decree. Other hospitals in Cameroon, also witnessed appointments like the Yaounde General Hospital (Djientcheu Philippe and Eyenga Victor Claude) and Yaounde Gynaeco-obstetric and paediatric hospital (Meke Tsitol Philippe). Friends have identified him as Michael, also known as Hazard, for his football skills. Michael is an Upper Sixth Student of St. Paul’s College Nkwen, he was murdered in cold blood by Gendarmes in the area. Eye witness accounts say when the situation in Bamenda became tense Friday evening wherein Ambazonia fighters were suspected to have arrived town, a special security measure was put in place. Michael like many other passengers boarded a taxi but fell in the hands of the Gendarmes around Nkwen who told the driver to stop but he didn’t respect the order, seeing this danger and knowing how Military behaves, some passengers forced the driver to stop before running for safety. Gendarmes then opened fire on the vehicle killing the driver, commonly called “papa Abigail”, father of three children, he died at the hospital from bullet wounds.While Michael, who had just written the Advance Level General Certificate of Education Examinations, GCE, was shot dead. Earlier, Ambazonia fighters in an exchange of gunfire killed Police officer Alian Tachkounte Tchounte around Hospital Roundabout. Gunshots were also heard in Bambui, the university community but residents had gone indoors as evening approached. Shop owners were forced to shut down and run for safety as Ambazonia fighters stormed neighborhoods blocking major roads. A witness said, “Seems Amba boys have finally entered town. I rushed out of office and took the Mulang road thinking I was being smart to take a short cut to the house but I met road blocks around the council area .I met policemen who were already there dismantling the blockage." The governor of the North West region is yet to react to Friday’s incident which saw the entire city panicking. 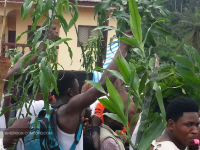 It was same day four individuals of the Tubah Council were abducted by Ambazonia fighters around Bambui, the first Deputy Mayor of Tubah, Chekelem Boniface escaped after being hinted by another staff that the situation was tense along the direction he took. After the kidnap of the sun divisional officer of Batibo, during the 20 May festivities, government have finally revealed that he is no more. The information was made public by the Prime Minister on Thursday Wednesday 20 June 2018 at the star building, when he was presenting the humanitarian assistant plan for the Northwest and Southwest Regions. he was tactful not to announce it in an official manner. "State authorities are not left out in the terrorist attacks in the two English Regions of the Country. i will cite just a few examples, the kidnapping of the Sub divisional officer of Batibo. Equally, 15 attacks have been recorded against traditional authorities" the prime Minister said. The Minister of Communication Issa Tchiroma Bakari organised a press conference on Thursday 14 June 2018, in order to debunk the allegations of Amnesty international concerning the Anglophone crisis in Cameroon, which according to them, are false. Since the begining of the unrest in the English speaking Regions of Cameroon, Amnesty International, an organisation for the fight of human rights has written several reports about the issue from 2017 to 2018. In their reports, the organisation holds the Cameroonian army guilty of causing havoc within the population and merciless torturing of alleged secessionist terrorists. in reaction to the accusations, the government as usual through their communication minister Issa Tchiroma Bakari, organised a press conference on 14 June to give their own part of the story and prove the human rights organisation wrong. The public outing of Tchiroma on Thursday was meant to tackle Amnesty International's report of June 12 2018.